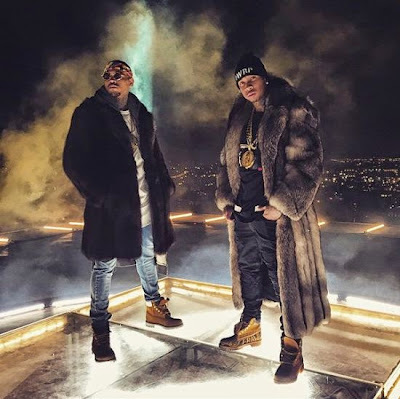 Chris Brown and Tyga recorded music video for their new single “Ayo” in Los Angeles this week. Directed by Colin Tilley, the video shows the musicians singing verses of the song as they appear together with number of women in front of a car. "Ayo" is the lead single of the duo's album,"Fan Of A Fan 2", follows the mixtape of the same name released by both in 2010. The new work does not have release date set, but is anticipated for this year. On January 28, Breezy and Tyga will start the series of shows together, "Between the Sheets" tour with singer Trey Songz .